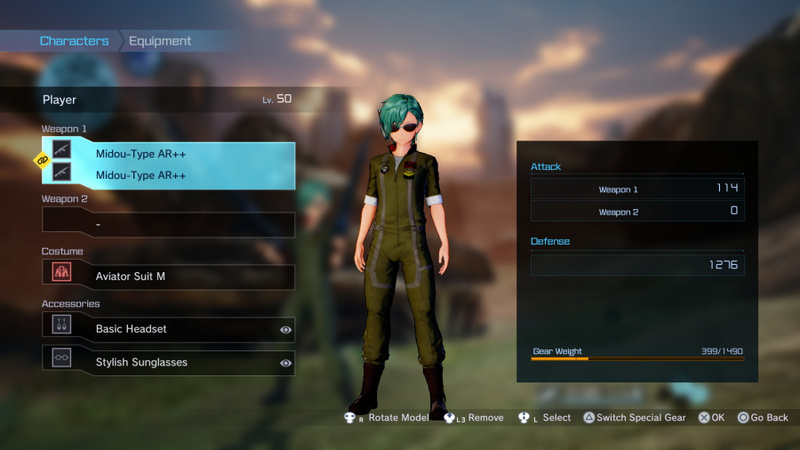 Sword Art Online: Fatal Bullet trades in swords, axes, and spears for assault rifles, rocket launchers, and shotguns. Gone is the fantasy setting of previous Sword Art Online titles, replaced with the brown and grey wastelands of Gun Gale Online. At its core, Fatal Bullet is still a grind-heavy RPG, but it's wearing the mask of a third-person shooter. You'll shoot, you'll loot, and you'll make friends with both original characters and characters from throughout the series. The twist this time around is that you're no longer plopped in the shoes of property protagonist Kirito – a young man who has somehow amassed a harem of teenage girls despite spending all of his free time playing video games. Instead, you get to create your own hero – male or female – and watch as the story unfolds from their perspective. It's a move that the Sword Art Online games have been crying out for. Kirito and the gang still play a part in the story, but they're pushed into a more secondary role while your custom character and several new faces hog the spotlight. This shift allows the overarching plot to flow much more fluidly – you no longer have to know the ins and outs of Kirito and his colourful companions for things to make sense. The story itself centres on your hero's growth as a Gun Gale Online player. You start out as a newcomer who's introduced to the virtual reality game by a childhood friend, and before long, you've stumbled across a rare artificial intelligence that makes you the envy of veteran players. Proceedings spiral from that point on, and for the most part, it's quite an entertaining narrative. The writing's decent enough and the localisation is solid throughout, but it's a shame that the story boasts only an illusion of player choice. During the course of just about every conversation, you're given dialogue options so that you can answer questions or chime in as you see fit. However, these options are always just two different ways of saying the same thing, and, as far as we can tell, your choices never impact how events actually play out. At least your choices matter when it comes to gameplay. There are a bunch of different weapon types to choose from, as well as a whole range of skills to learn and master. You can be a speedy submachine gun demon on the front lines, setting opponents on fire with your incendiary rounds, or you can adopt a supportive role and heal your allies with, er, healing bullets. There's a lot of room for customisation and optimisation, which should satisfy those looking for some gameplay depth. But then there's the act of actually pumping lead into your enemies. 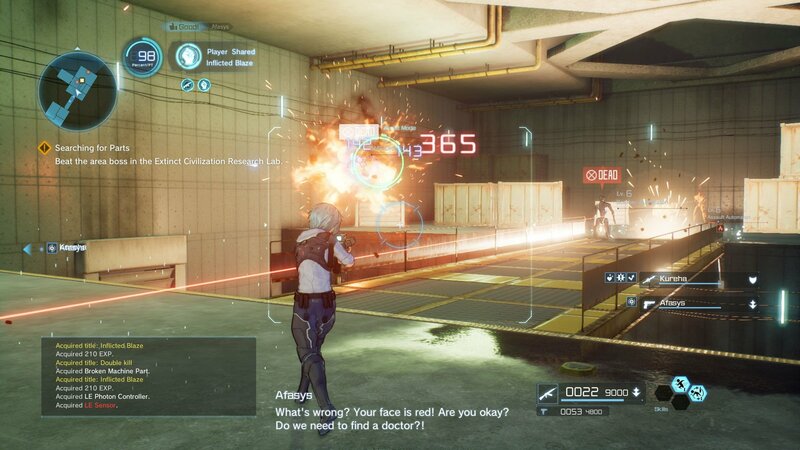 The shooting in Fatal Bullet will feel off if you're used to playing just about any modern shooter – and that's because there's no aim assist whatsoever when you're looking down your weapon's sights. This fast becomes a problem because the vast majority of enemies that you encounter move quickly and erratically, making it incredibly difficult to land shots unless they're standing completely still. 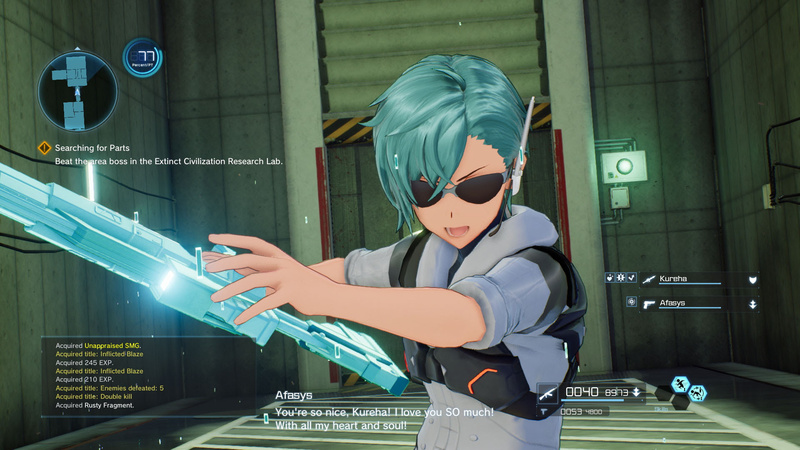 It's a design choice that can make Fatal Bullet feel janky, awkward, and even unfair since enemies themselves can snipe you from across the map in the blink of an eye. Sooner or later, though, you start to realise that Fatal Bullet isn't really meant to be played like a traditional shooter. You see, when you aim from the hip, you're granted the help of 'assist mode'. What this does is place a targeting reticule over the nearest foe, allowing you to simply blast away. While using assist mode does prevent you from targeting specific weak points, it's still your best bet when it comes to dealing damage, and it forms the basis of a combat system that sees you run and gun until you're able to get off a few killer shots when the enemy decides to stop moving. It's a system that won't click with everyone, but there's definitely satisfaction to be found in seeing big damage numbers flood the screen. 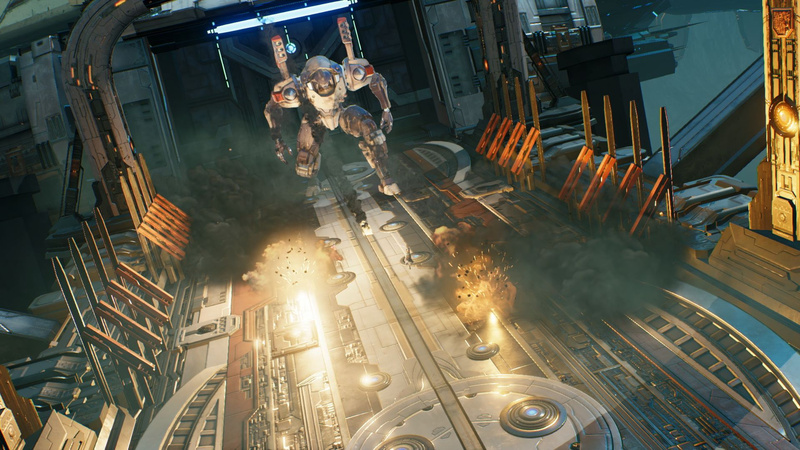 Combine all this with a dodge roll and an evasive dash, and Fatal Bullet is almost like a hack and slash action game in the form of a shooter. It's certainly an approach that feels unique, if a little wonky. If you can wrap your head around gunplay and movement, the game can become quite a significant time sink. There's undoubtedly repetition here – especially in the limited enemy types and the uninspired dungeon design – but the addictive gameplay loop of blasting robots, hoovering up loot, and then returning to town in order to pick up more quests is always present. Sometimes it's just hard to put the controller down. That said, it's a pity the release doesn't do more to enrich the overall experience. As alluded, the environments are bland and dreary. We get that this is something of a post-apocalyptic setting, but the set dressing is generic aside from a handful of semi-interesting sights. 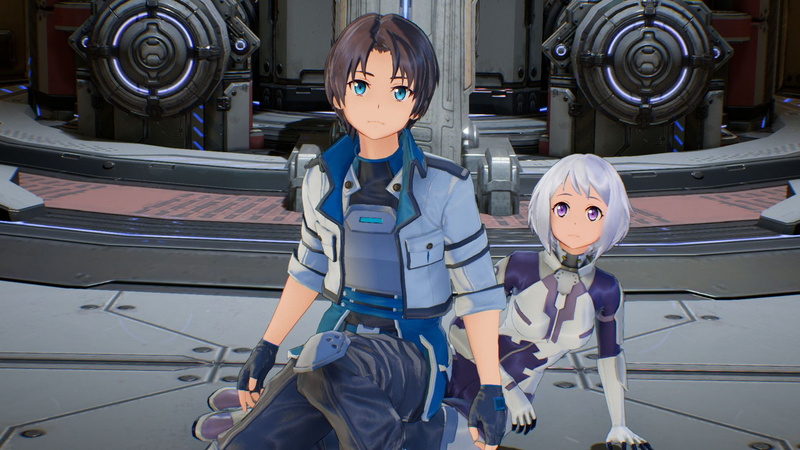 Although Fatal Bullet was clearly developed on a bigger budget than past Sword Art Online titles, it's lost a bit of its charm. The oversaturated fields and forests of the previous games may have looked cheap, but that gave them a degree of personality. Here, everything's just a touch too sterile. Moving away from the campaign – which should take you around 40 or more hours to complete – there are co-op and player versus player modes to consider, but both feel somewhat stunted. Co-op missions allow you to team up with friends or randoms as you take on bosses. However, these bosses are plucked directly from the main story, which prevents the mode from really standing out. Meanwhile, PvP sees you and your team go up against another group of players as you seek to dish out the most damage against a boss, all while attempting to keep the opposing team at bay. It's a bit of a weird twist on your usual competitive modes, but balancing issues crop up on a constant basis. The unfortunate truth is that some weapons are far more effective than others. 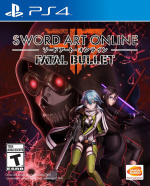 Sword Art Online: Fatal Bullet is easily the most polished Sword Art Online game to date, but it's also one of the least imaginative. A strange union of third-person shooting and role-playing action, it offers up quite a unique mix of gameplay and a progression loop that's really quite addictive, but the overall package rarely thrills. By stepping away from Kirito and the gang, the story definitely benefits, but it's not enough to inject life into a game that often feels bland and monotonous. Fatal Bullet's still a solid anime-based title, but unless you love to grind, you'll likely lose interest. If anyone's got any questions about the game feel free to ask. well with such a huge backlog and Ni no Kuni II: Revenant Kingdom out next month will wait till this hits the £20 mark. Great review!To be honest I kind of saw that score coming but it doesn't really bother me. I have never played any of the Sword Art Online games despite wanting to at some point but this game really caught my attention more than all the others. I'd love to give this one a try and it may be one I pick up sooner rather than later. Will I enjoy this game too if I enjoyed Freedom Wars? I expected it to score like this. Well, I guess Ill just wait a month or two for a big price drop! I also expected a similar score to this, and I remember watching someone play a japanese beta of this a few weeks ago and the hub area was almost devoid of life other than the important NPC's, which in a "VR MMO game" is terrible. Otherwise the gameplay and graphics don't sound too bad, would rather have it functional-if-bland than unworkable and not enjoyable. But I'll probably wait for the price to go down before considering picking it up, maybe after I finish Tokyo Xanadu EX+. As a single-player gamer I'm happy with the game, the positives far outweigh the few negatives. I did watch a large number of gameplay videos of the Japanese version though, so I knew what to expect. Besides, if I based my purchases on top-ranking PushSquare scores I'd be disappointed 80% of the time. It's a good thing we are all [somewhat] different, so that games like this still end up being made.